If you're looking for an electrical contractor in the Franklin County, Ohio area, you need look no further than Neff Electric & Plumbing, LLC. Neff is an electrical contractor that has been serving the area since 1920. It's a family owned and operated electrical contractor, meaning for you that you can get great customer service provided in a personable way. When you work with Neff, you're a name, not a number. Whatever your electrical contractor needs, Neff can and will do the work. Neff Electric & Plumbing, LLC does residential, commercial, and industrial electrical services. The current owner, Michelle Neff, started in the family business at the age of 16, when she was apprenticed to her father and grandfather, who founded the company. Today, Michelle is a licensed Master electrician. She does new construction as well as major and minor electrical repairs and service work. Neff isn't just about the usual lighting and panel work. Troubleshooting and repair work, as well giving you a complete home safety check, are also part of Neff's expertise. Not every electrical contractor has such capabilities, or wants to do that kind of work. Do you need help with generators, ARC fault breakers, or surge protectors? Neff can take care of any of your needs along these lines. From help with smoke detectors, to outlets and GFCIs, to ceiling fans, to meter bases, to hot tubs and spas, Neff is a one-stop electrical contractor. Whenever you need new power run to a pool, or to new appliances, you can turn to this one-stop shop, and get everything done under one roof for cost-effective, no-hassle new wiring work. Neff Electric & Plumbing takes care of overhead as well as underground electrical services. This is a contractor who can even help you with your phone jacks and your cable outlets, either repairing them or installing them. Do you need help with the repair, rewiring, or installation of breakers and fuses or outlets and switches? Maybe you're in need of code corrections. Have you installed or need installed solar powered electrical systems? 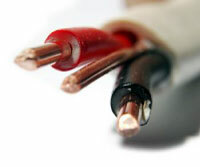 Are there electrical motors in your home that need to be wired up or worked on? Do you need help with exhaust fans? 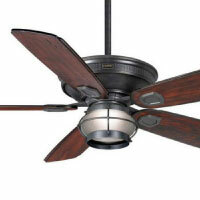 Neff is the contractor that can take care of all of your needs in these diverse areas. Work on electric water heaters, including tankless water heaters, is handled by Neff, too. It's important that you have access to a contractor that understands these often complex machines. Pool pumps, timers and lights, and landscape lighting are all handled by Neff, as well. Not every electrical contractor is adept at keeping your pool and property well-lit at night. Neff is not one of those electrical contractors that shies way from helping you with general maintenance work. Once again, Neff can also give you a full home electrical safety inspection, too. No matter what your need for an electrical contractor is, Neff Electric & Plumbing, LLC, is your one-stop go-to company that you can look to! 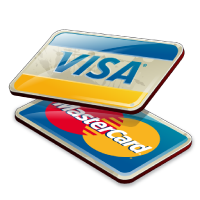 We accept Visa and Master Card for your convenience. © Copyright 2014 Neff Enterprises. All rights reserved. Affordable WebSite Design by: AronsWebSites.com.